The Energy Department watchdog announced last week that it found the department has not exercised necessary oversight over its workers’ compensation program for contractors at the Hanford, Wash., nuclear site, leading to more than $21 million in missed payments to state agencies. An audit by Energy’s Office of the Inspector General found that a general lack of communication and oversight by department officials led to missed payments, incomplete documentation, questionable charges and a perception of intimidation against some workers making claims. But investigators were not able to find direct evidence to “confirm or refute” workers’ concerns. In Washington, the state Department of Labor and Industries administers workers’ compensation laws, including decisions to allow or deny claims. Within that system, the Energy Department is self-insured to pay for claims made by contractors and some subcontractors at the Hanford nuclear site, a decommissioned nuclear production facility. Energy contracts administration of claims out to Penser North America, Inc. The inspector general found that the state neglected to bill Energy for $21.8 million in workers’ compensation pension benefit costs between 2000 and 2016, although all workers received their benefits. Although the state Department of Labor and Industries realized its error in 2016, Energy should have noticed the discrepancy before that, investigators said. Additionally, the inspector general said a lack of communication between the department, state officials, the vendor and labor unions led to a frustrating claims review process and a perception that workers could be harassed or intimidated for filing workers’ compensation claims. Although simple injury claims were relatively simple for officials to process and approve, more complicated claims were exacerbated by these communications problems, investigators wrote. Between October 2014 and May 2017, only 70 of 628 total workers’ compensation claims were denied. Investigators did not find evidence of intimidation, but suggested that claims of harassment may be a result of the confusion and frustration that surrounds the more complicated processing of workers’ compensation claims related to chemical vapors. 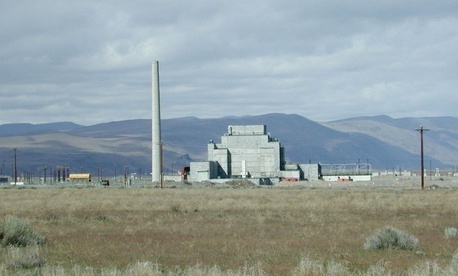 The inspector general recommended that the department “dramatically increase its involvement in all aspects” of the workers’ compensation process at the Hanford site, particularly in the area of communication and education. The department concurred with all findings and recommendations, and it has already begun to take a greater role in workers’ compensation claims. In April, it opened a workforce engagement center at the Hanford site to assist workers with the process and other medical programs. And the department reported that it is working more closely with both Panser and state officials to provide better oversight on the financial side of the program.